FOR IMMEDIATE RELEASE: Portland, Maine (September 27, 2018) – New England Fights (NEF) will hold its final mixed-martial-arts event of 2018, “NEF 36: Battle for the Gold,” on Saturday, November 17 at Aura in Portland, Maine. Earlier today, the fight promotion announced the addition of an amateur lightweight fight to the card. Mohammad Al Kinani (4-1) is scheduled to face Jamie Sprague (0-0) at a fight weight of 155-pounds. Mohammad Al Kinani will look to rebound from the first loss of his amateur career against Ramano Medina (5-0) last summer in New Hampshire. Prior to that time, Al Kinani had won the first four fights of his career, the most recent three emphatically by first-round knockout. He is a perfect 2-0 in the NEF cage. Al Kinani is a member of Evolution Athletix, a team housed in a brand new, state-of-the-art training facility opened earlier this year just off Route 1 in Saco, Maine. Despite his lack of cage competition experience, Jamie Sprague is no newcomer to the combat sports world. As Al Kinani indicated, Sprague has trained for some time in the martial arts. 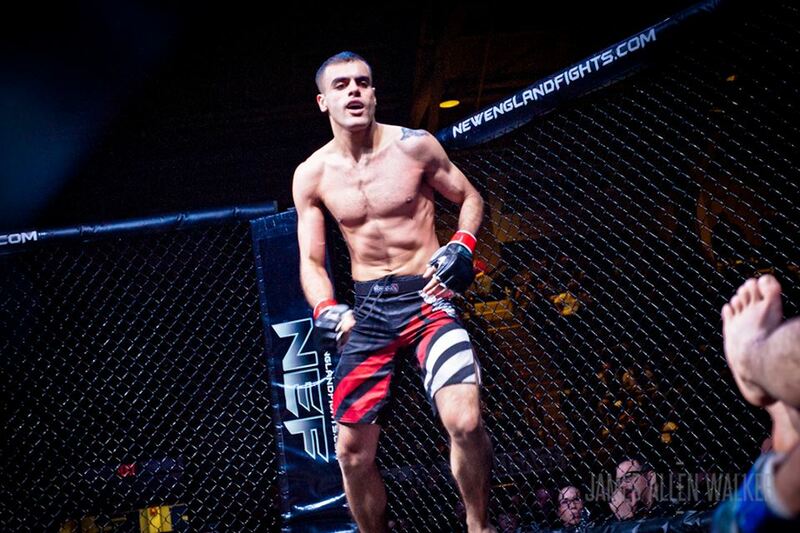 He holds a purple belt in Brazilian Jiu-Jitsu and is a member of Nostos MMA based in Somersworth, New Hampshire under current UFC competitor, and former NEF Pro Lightweight Champion, Devin Powell (9-3).